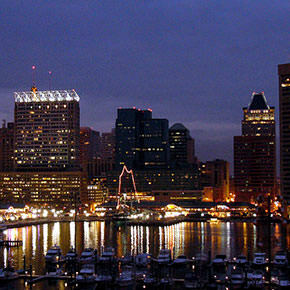 Rails Girls is coming to Charm City! During this two-day workshop, we'll dive into the fun and challenging world of Ruby on Rails. Register now! Registration will remain open until February 23, 2013. Make sure to follow us on Twitter to stay up-to-date with all the haps. You learn designing, prototyping, and coding with help from our coaches. You need your own laptop, curiosity, and a sprinkle of imagination! Want to help? We are looking for volunteer Rails coaches. Get know the attendees a little bit before hand. Bring your laptop, so we can help you install Ruby on Rails and resolve any problems you may have. During the morning we’ll make sure your install from Friday is running well. Be sure to meet the other participants during this time! We'll review the day's schedule & hear from our sponsors. Coders need to eat. We'll have options for dietary restrictions. Build your first web application and enjoy some optional workshops on design, technical terms, and more! 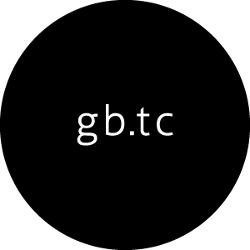 Spend some informal time with everyone at a local venue (TBD)! Rails Girls Baltimore is co-organized and sponsored by some awesome partners. Back Forty is a Baltimore-based software development firm dedicated to building technology that delights! Want to help? We're looking for partners & sponsors for the nonprofit event! Email us! How much does the workshop cost? $10. This is just to help cover expenses for the event. Who is this intended for? Women of any age with basic knowledge of working with a computer. If you are under 15 years old, please bring a parent or guardian with you. Do I need a laptop? Yes! Please bring your laptop with you. If you don't have one, email us. We can try to help you procure one for the event. Will there be childcare? Maybe. We are currently trying to make it work. Keep an eye on our Twitter feed for updates. Can men attend? Sure, but you need to be accompanied by an interested lady. Also, women and girls are given priority in the application process. I know how to program. How can I help? We’re also looking for people to be coaches. Email us to volunteer!. Why are you doing this? We believe that the gender imbalance in programming is a Bad Thing™. This is our small attempt at getting more women involved, because when programming is more diverse, programming is more awesome. Rails Girls Baltimore is dedicated to a harassment-free event experience for everyone. Our anti-harassment policy can be found online.